The Royal Rumble 2018 is still about a month away, yet speculations are running rife about the possible participants and even the potential winners. The upcoming PPV will make a history as it will include the first ever Women’s Royal Rumble match. So, it is hardly surprising that the Women’s match is getting a lot of attention. As far as the Men’s Royal Rumble 2018 is concerned, so far only four participants have been confirmed: John Cena, Elias, Randy Orton, and Shinsuke Nakamura. It is expected that more announcements will follow in the coming weeks. The betting odds already indicate a possible winner for the Royal Rumble 2018. John Cena is currently the most favored star to win the upcoming Royal Rumble with the odds at 5:2, as reported by the Wrestling Inc. The second most favored star is Roman Reigns, followed by Shinsuke Nakamura. The betting odds also suggest that AJ Styles could be the winner, which is bizarre seeing as the WWE Champion will not be the part of the Rumble. Bobby Roode is the fifth favored star followed by Seth Rollins. Braun Strowman, Samoa Joe, and Finn Balor also find a spot in top superstars favored to win the Royal Rumble 2018. For the Women’s match, the odds are largely in favor of Ronda Rousey winning the first ever Women’s Rumble. Asuka is the closest competitor as per the betting odds. There are no second thoughts on the fact that 2017 has been an amazing year for the Big Dog. He defeated John Cena at No Mercy, won the Intercontinental Title from Miz, and may have even retired the Undertaker. In the past few weeks, Reigns has destroyed the likes of Jason Jordan and Cesaro. It has been rumored for quite some time that WWE is planning to book Roman Reigns against Brock Lesnar for the Universal Championship at the WrestleMania 34. This match will further project Roman Reigns as ‘The Guy’ and the face of WWE. It is speculated that Reigns will achieve this feat by defeating The Beast Incarnate, something that the likes of Goldberg, Samoa Joe, Braun Strowman, and AJ Styles could not do. Given his phenomenal run, Roman Reigns should definitely have a stellar performance at the Royal Rumble 2018. 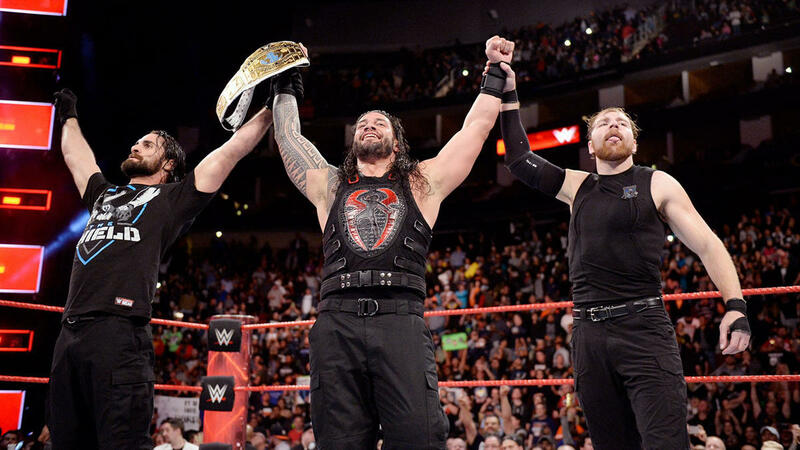 If WWE officials do realize that handing Reigns’ his second Rumble victory may not be the best choice, fans should expect Roman Reigns to have nothing less than most eliminations. So win or not, it appears Roman Reigns will emerge from Rumble as the star of the show.